ONE-OF-A-KIND home nestled in remarkable Riverland Terrace. 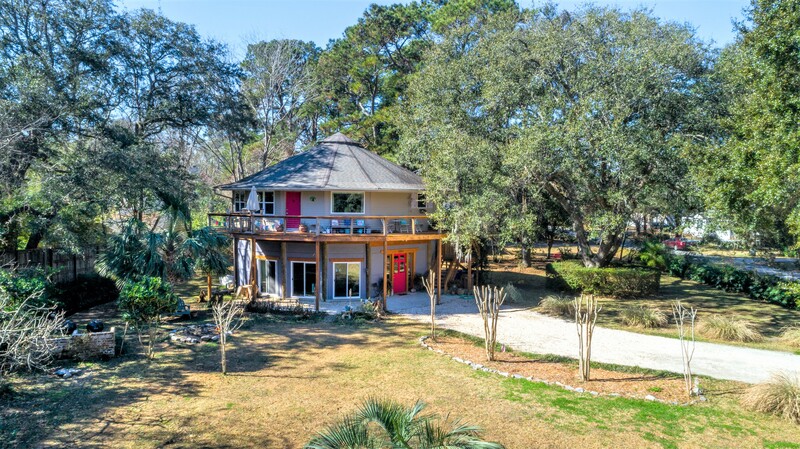 This 3 bed, 2 bath artistically inspired home is located at the end of Saint James Road on a .43 acre scenic tidal creek. 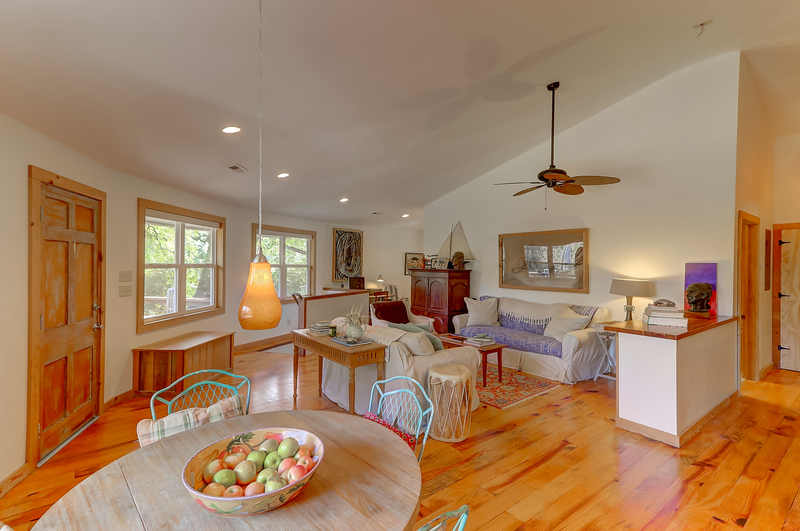 As you enter the upstairs to the spacious living room you’ll notice gleaming hardwood floors milled from pine trees on the property. 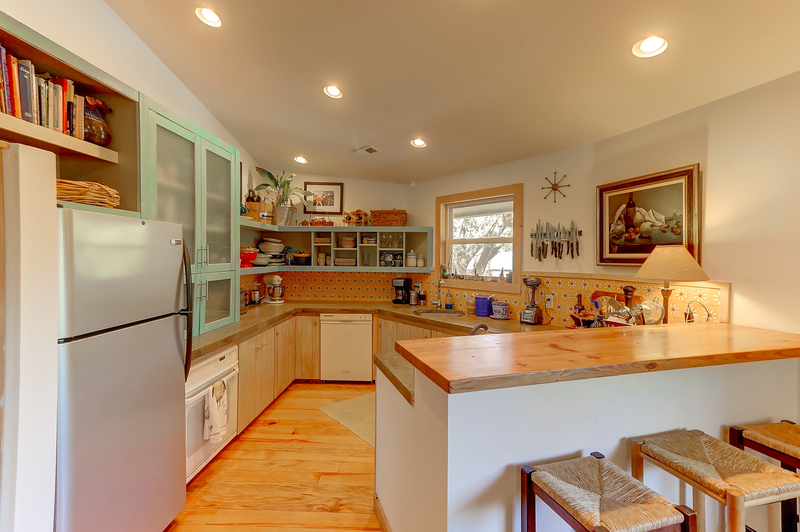 This flows into an open kitchen with concrete counters, imported Mexican tile and custom cabinets made from the same pine trees on the property. You’ll also notice several other custom crafted features such as heart pine counters, 200 + year old doors, and salvaged copper pipe railings from the 13 East Battery estate. The vaulted ceiling bathroom is directly across the hall from 2 of the large bedrooms. The Master bedroom boasts a walk in closet and master bath, complete with claw foot tub and a stunning pine-slab countertop. As you make your way down the custom mahogany stairs you’ll find an incredible entertaining space. 12ft ceilings, with lots of light, a custom bar top and wood burning stove is the perfect place to entertain or cozy up with family. The space includes a full bathroom, laundry facilities, and a bonus bedroom. The home is thoughtfully designed with the beautiful lot in mind. Several beautiful crape myrtles, a fig tree, and two 300 + year old majestic oaks line the property. At high tide watch the moon reflect over the tidal creek from the top deck. 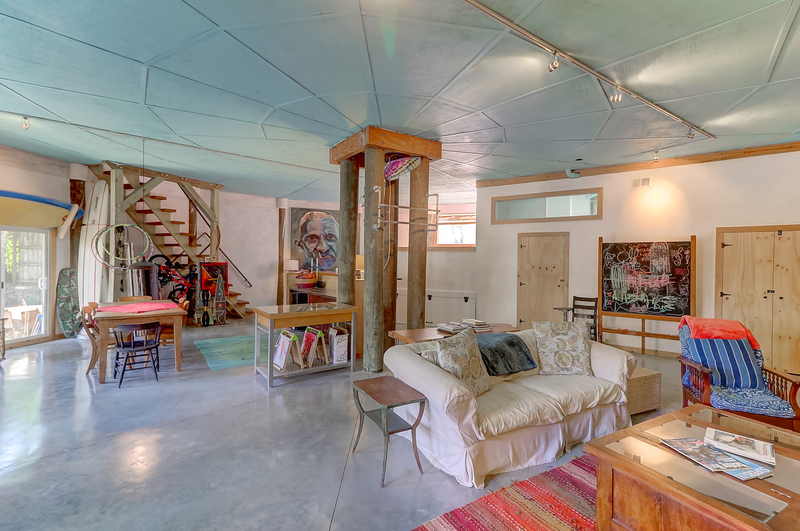 This home is designed with energy efficiency and hurricane resistance in mind while also creating a seamless connection between you and your environment.